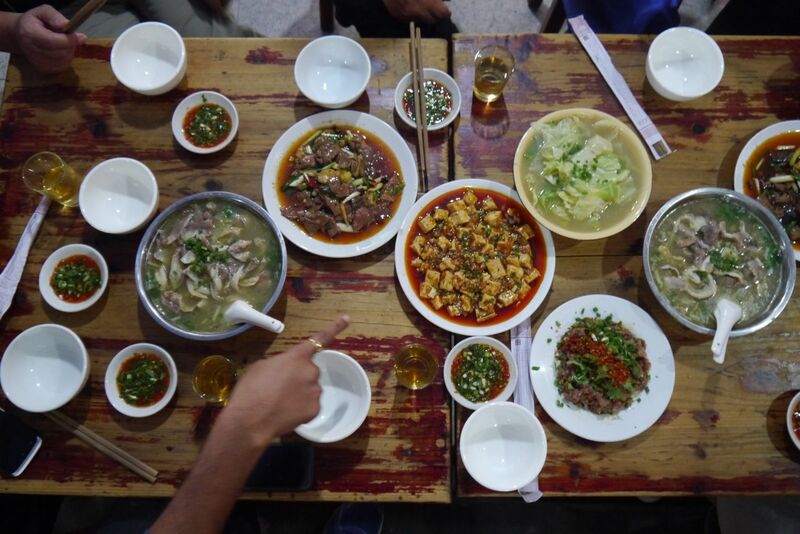 This post is meant to accompany my First letter from China: Sichuan. 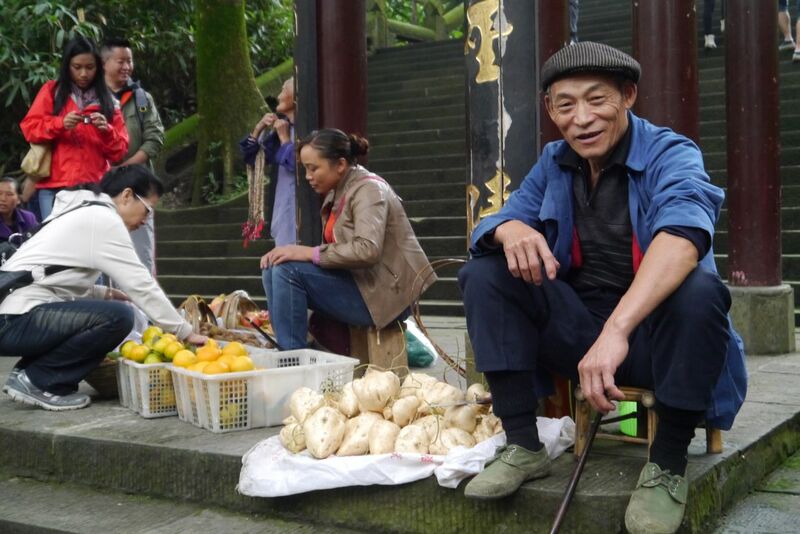 Since digestive difficulties have prevented me from tasting Chengdu’s wonderful food on this Kerala to Shaolin trip, I will instead narrate a story from April 2012, when I visited for the first time with my wife Li Ling. Barely 15 minutes after reaching Buddha Zen, our hotel, we are on our way out. Ling has gotten directions to a local restaurant and we are walking briskly, after pulling on a thin extra layer for the crisp Spring evening. 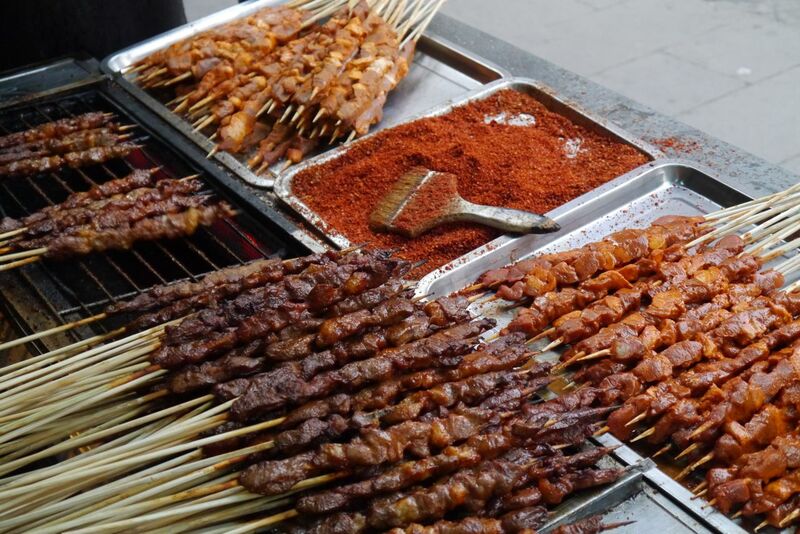 Unfortunately, we cover only about 300 metres before I get distracted by skewers of raw meat lying next to a charcoal grill. 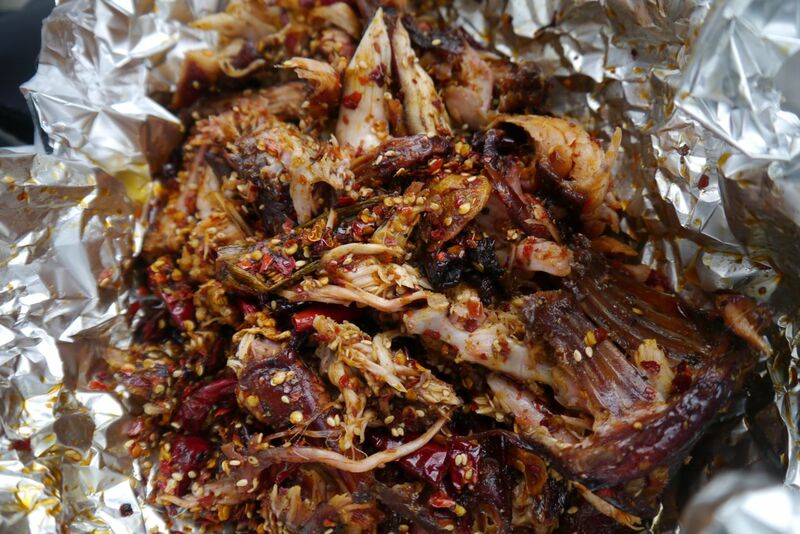 Perhaps more importantly, there is a wide tray of chilli flakes sitting next to it. 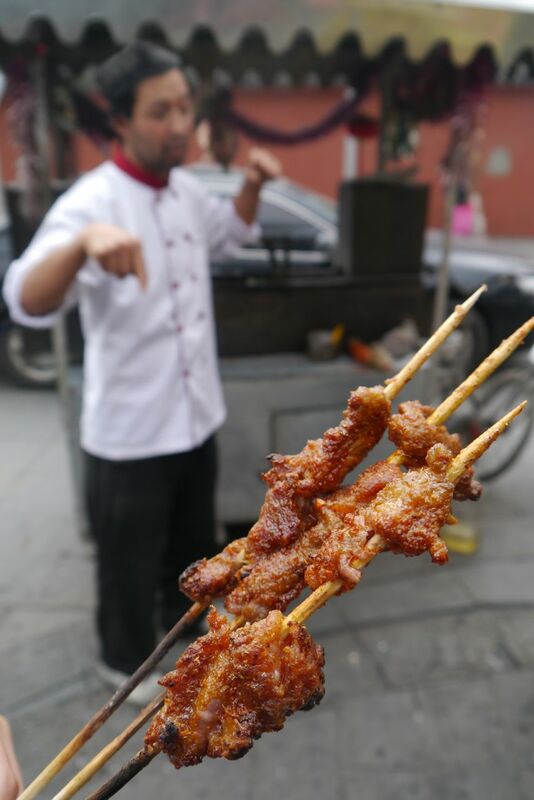 A few minutes later, the eager, young Chinese BBQ master is brushing the chilli onto sizzling meat cubes, using a giant paint brush, the kind one uses to paint walls. The meat is good enough, but we are to have much better. I am ecstatic, though, that my mouth is finally on fire. 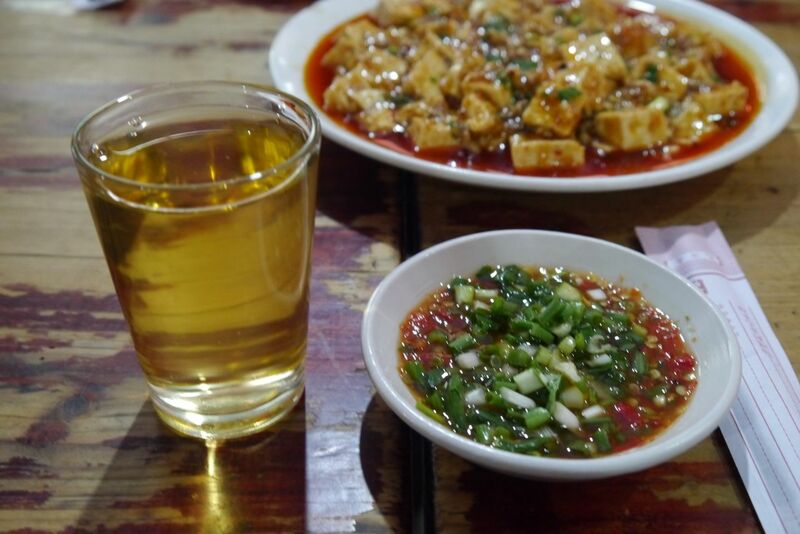 I had spent months dreaming of this moment—my first chilli high in Sichuan. It is, I imagine, much like one’s first scotch in Scotland; or joint in Jamaica. Just a teaser, though. 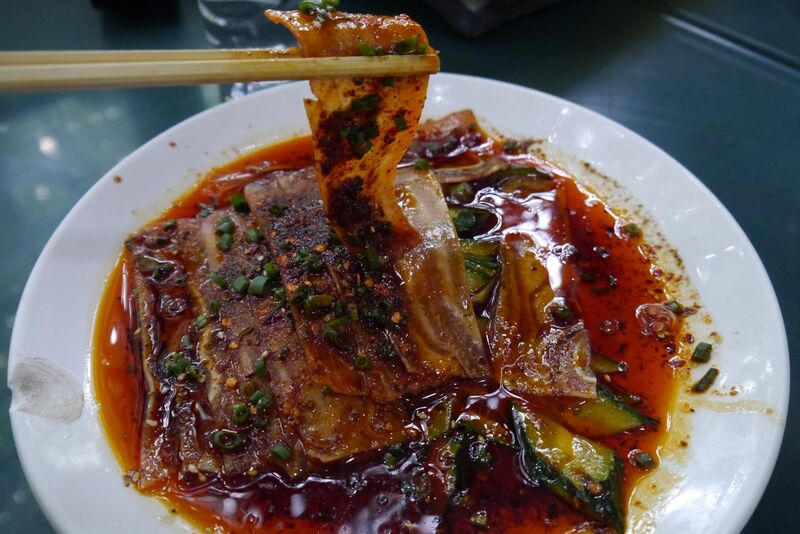 Half an hour later, with the embers in my mouth gently dying, we are staring wide-eyed at two incendiary staples of Sichuanese cuisine: mapo doufu (spicy tofu, pictured above) and xiang la er si (fragrant, spicy sliced pig’s ears, pictured below). 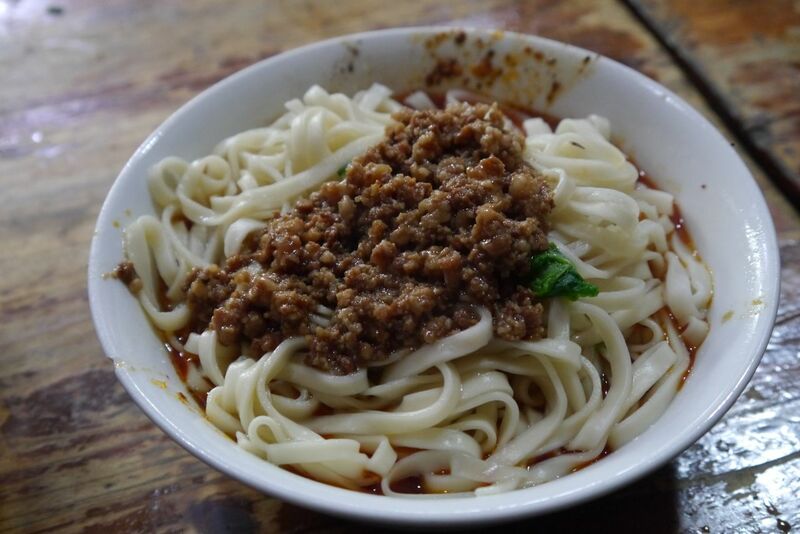 Mapo doufu is one of Sichuan’s best exports and needs little introduction. 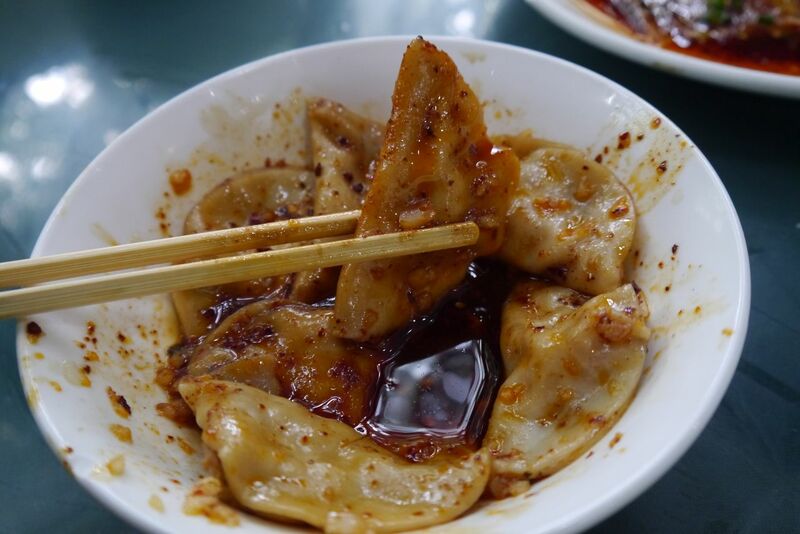 What is less known is that “mapo” refers not to spice but to a “pockmarked-faced lady”. 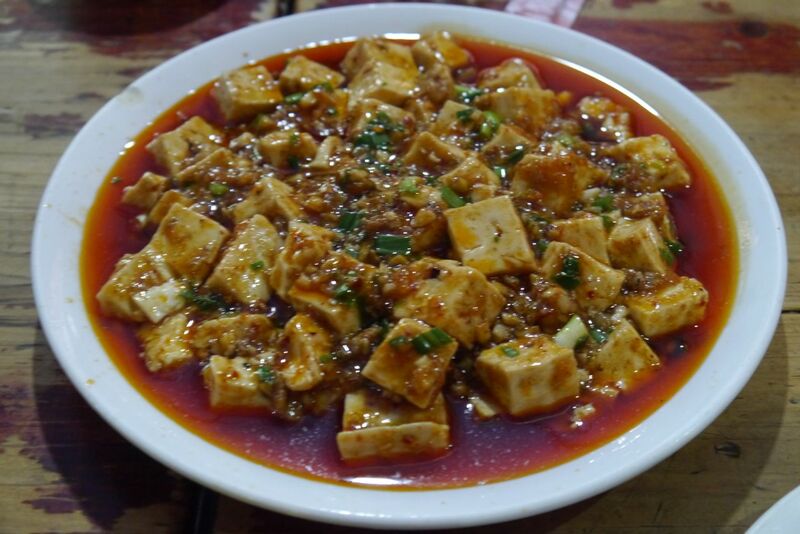 The etymology has nothing to do with the little punctures one observes on the tofu pieces themselves; rather there apparently once lived a pockmarked-faced lady by the name of Chen Mapo, who invented the dish. 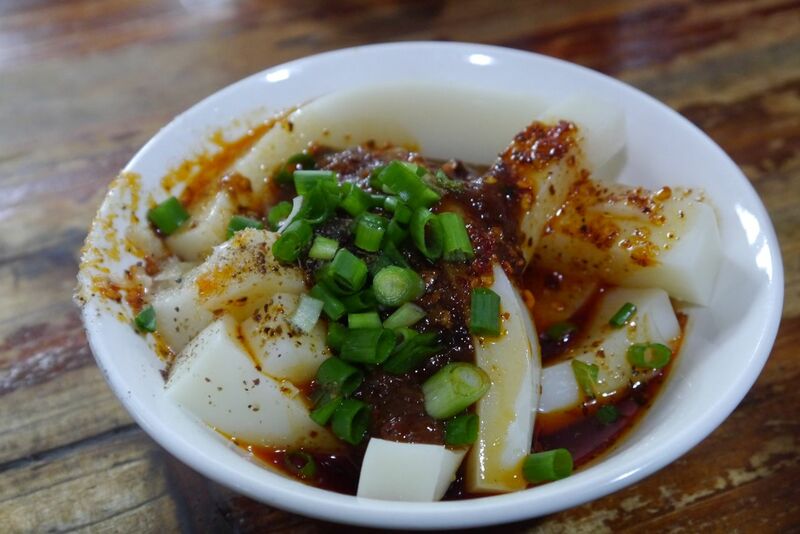 Some places still call the dish Chen Mapo doufu. 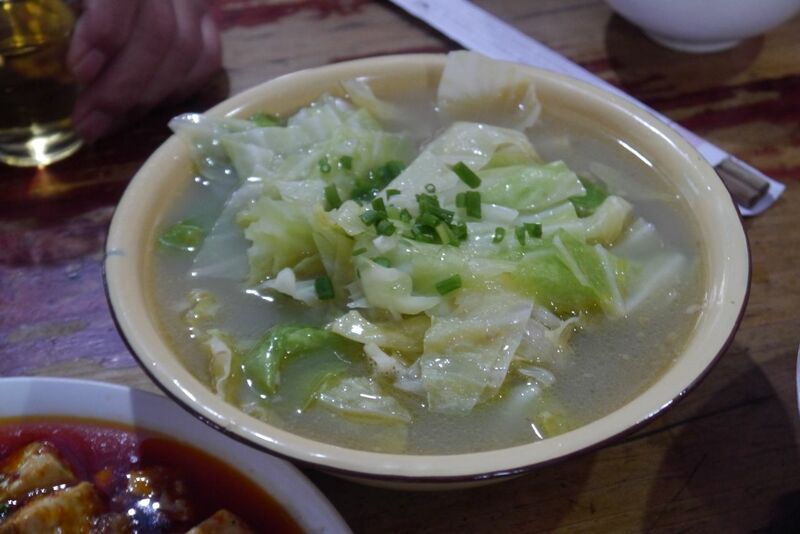 Xiang la er si, meanwhile, is in many ways the culinary and cultural opposite of mapo doufu. 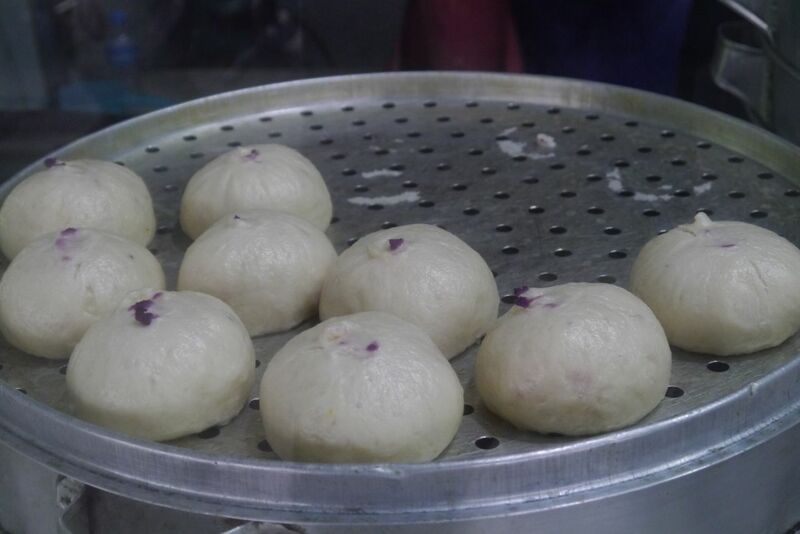 Unlike mapo doufu, you will never find a pre-mix of xiang la er si on any Western supermarket shelf. 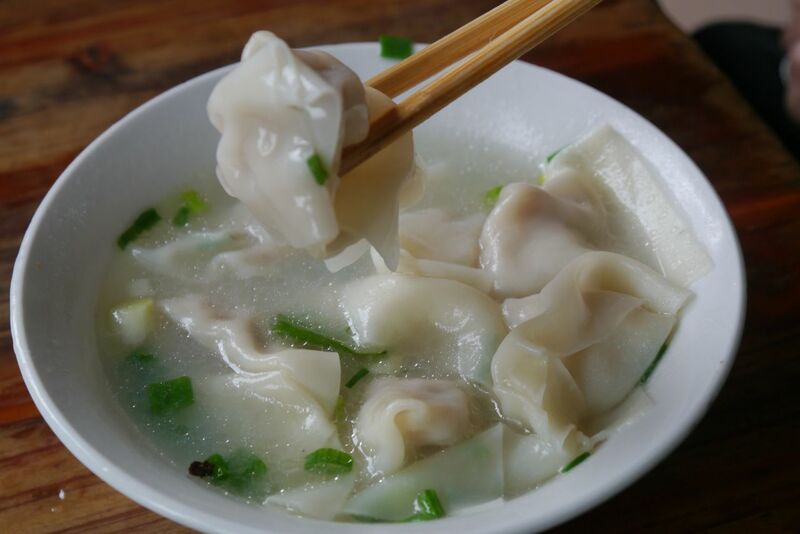 Whereas mapo doufu can serve as an intro to Chinese cuisine, xiang la er si is the sort of dish you use to call your foreign guest’s bluff. is a suggestion that usually triggers a hasty retreat. 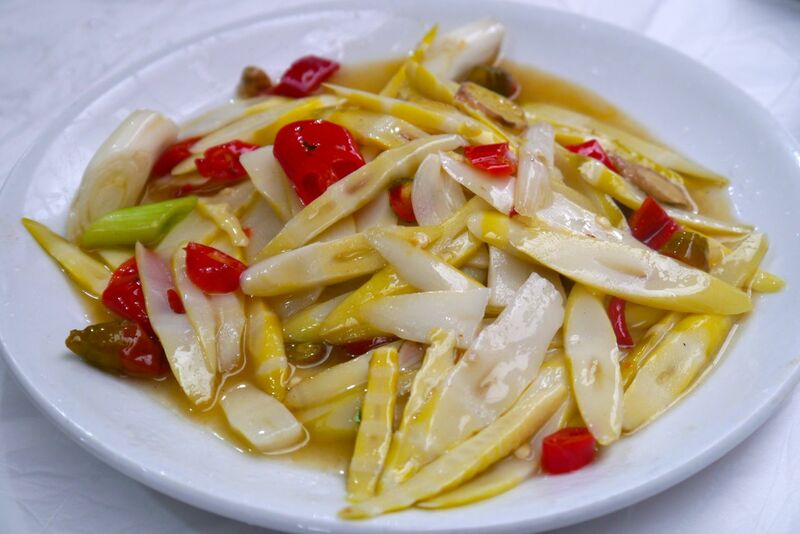 Chinese in Chengdu and elsewhere express shock when I admit to eating—no, loving—pig’s ears; many of them steer clear of it. Their textures are completely different. The best tofus are delicate, soft, and dissolve only when the right amount of pressure is applied, no more, no less. 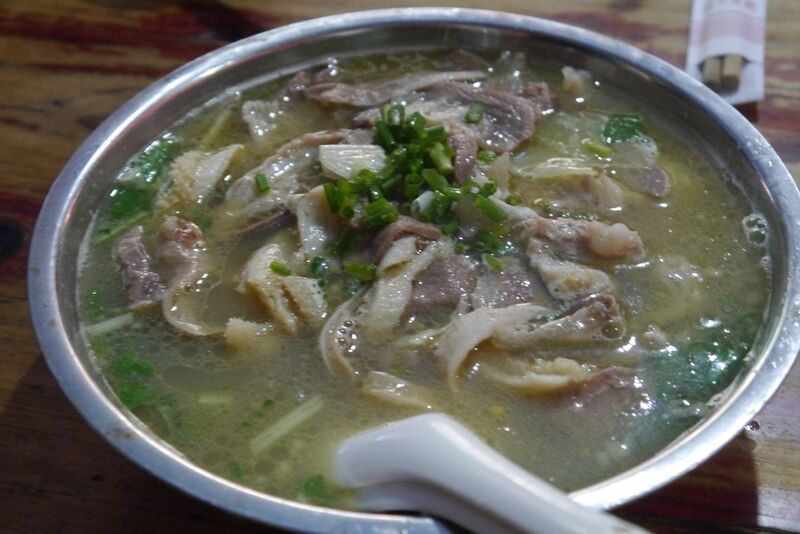 The best pig’s ears, however, are a tapestry of textures and pressure points, toying with your senses as your tongue rolls over thin, alternating segments of meat, skin and cartilage. Tofu looks and feels good—little innocent cubes of white goodness. 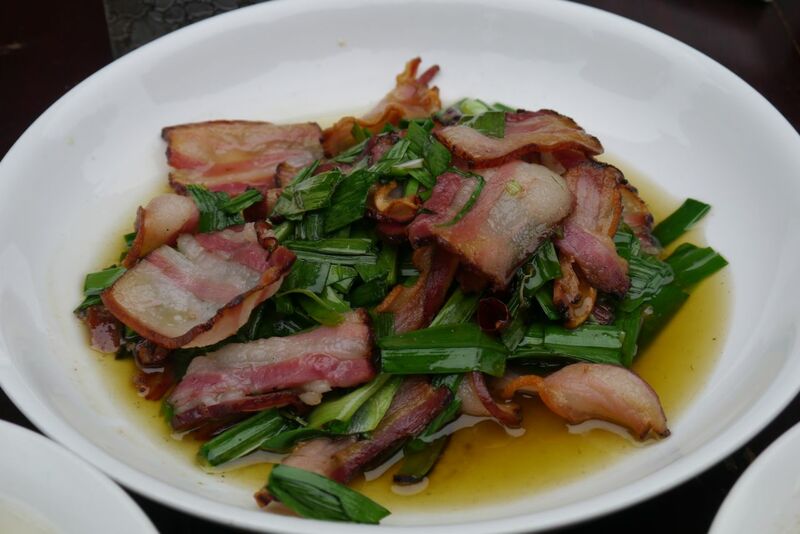 Pig’s ears can look like curious discs from porcine hell, which if prepared incorrectly might kill you. Ling starts devouring the tofu, one of her favourite dishes in the world, but avoids the ears. I alternate, greedily spooning chunks of tofu onto my white rice, and then tossing slices of ear into my mouth. 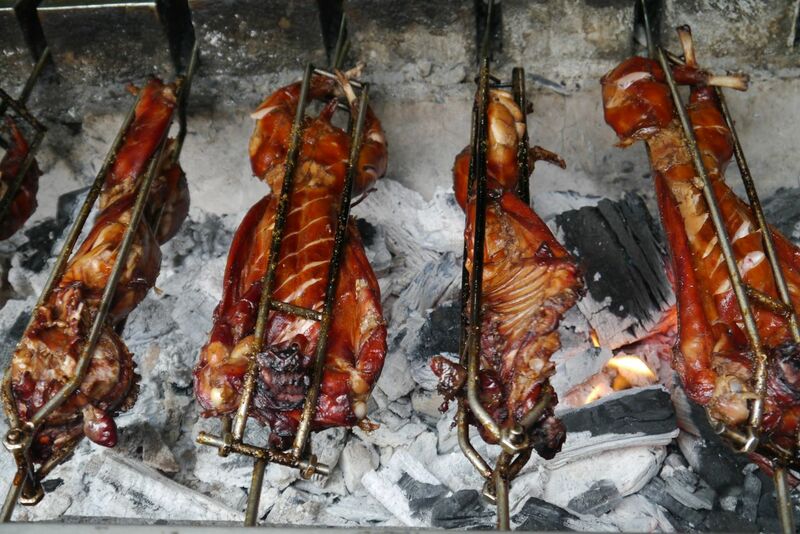 A few mouthfuls later, my mouth is alight again. 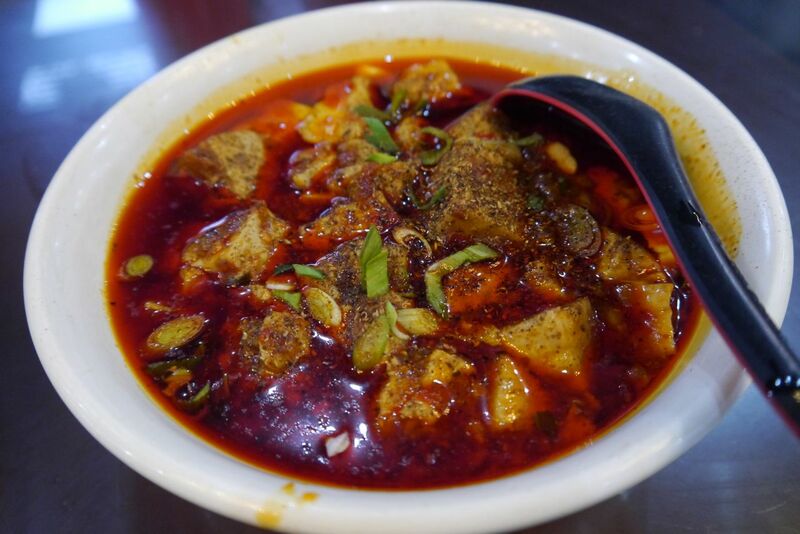 And this is where mapo doufu and xiang la er si find common ground—in their expression of Sichuan spice. 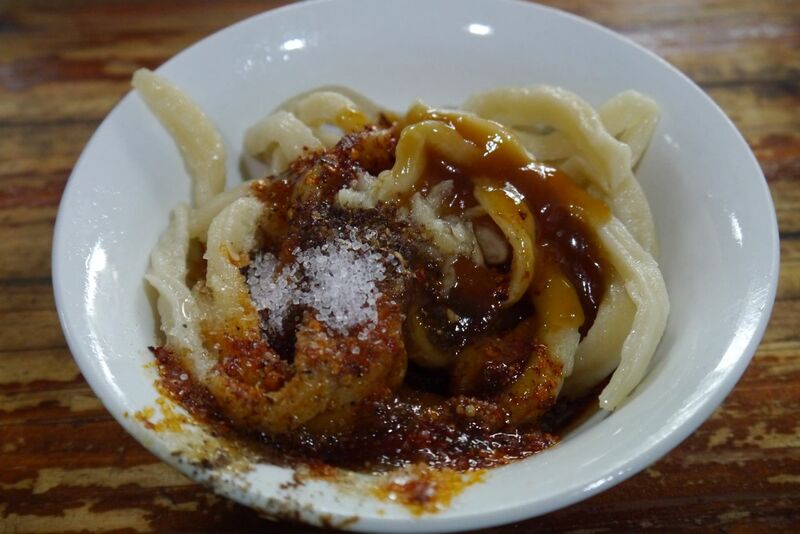 Any paean to Chengdu’s cuisine would be woefully incomplete without a deconstruction of the mala mix. 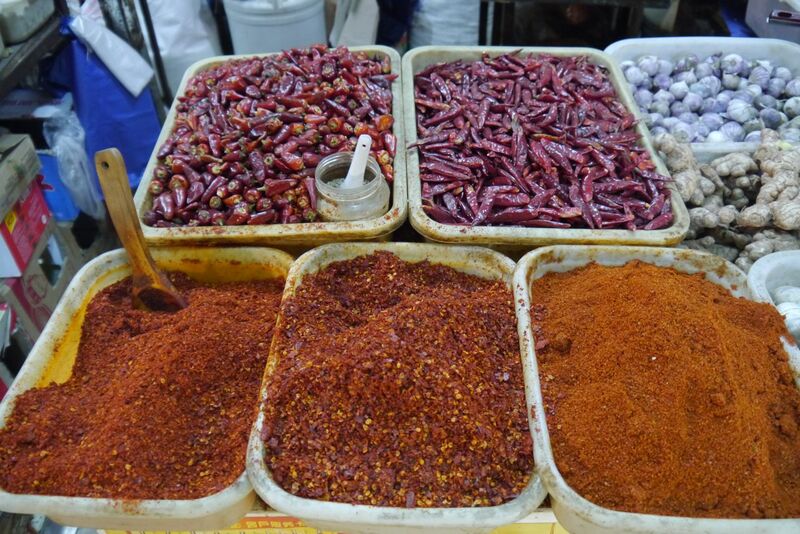 Chilli fiends the world over savour that devillish combination of raw pain and tingling numbness. Your gasp for water, and then marvel at how it flows electrically over your anaesthetised tongue. Meanwhile the rest of your body—eyes, nose, pores—seeks to secrete water however it can. Nothing sharpens the contrast between chilli fiends and flavour nazis as much as mala. “How can you possibly taste anything after that?” followed by the refrain, “But everything tastes better now!” was surely born shortly after a mala meal somewhere. I know many people who absolutely detest the mala spice. Some friends will chomp on the spiciest habanero or Thai green chilli but can find no joy in mala. 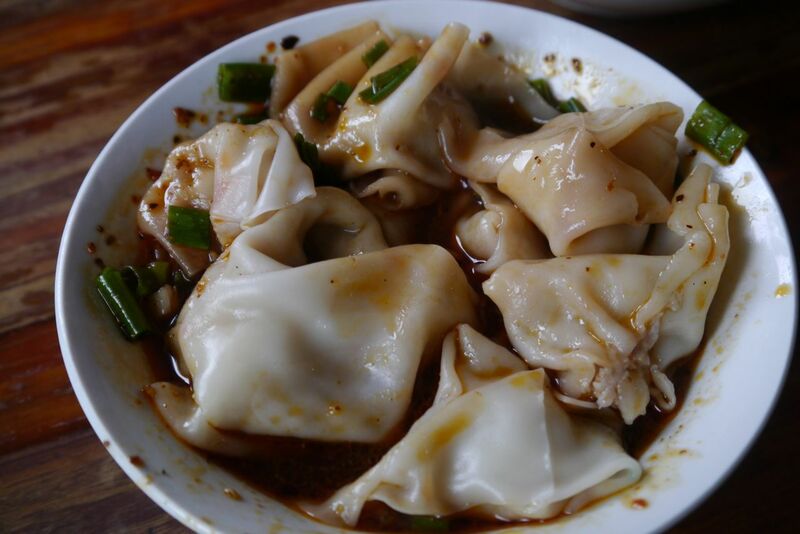 I realise why as I’m sitting there in Chengdu enjoying our first meal—it’s probably because they’ve never tried mala done well. 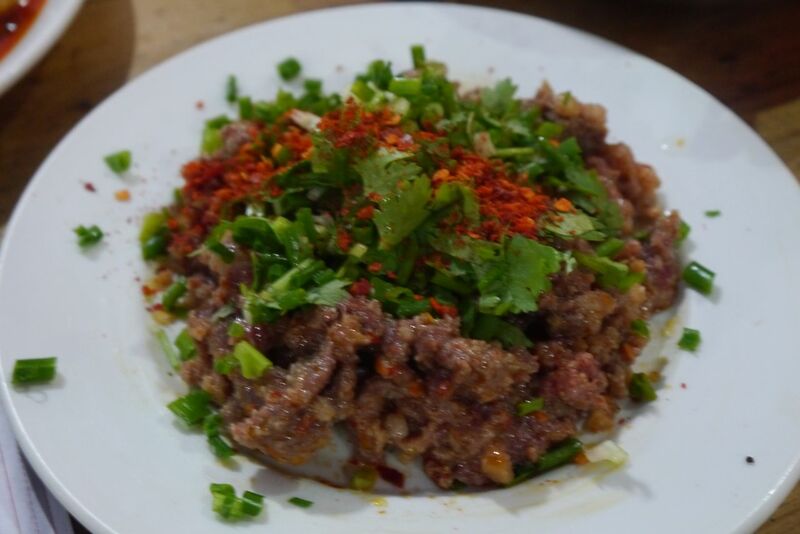 Having eaten Sichuanese food my whole life, everywhere from Hong Kong to Singapore, Bombay to New Jersey, I am completely gobsmacked by the mala spice in Chengdu. It is not the wild headbang that one usually gets, but a symphony of flavours—chilli, for sure, but also floral accents, citrus notes, and an assortment of other light and deep spices. What, exactly, is mala? 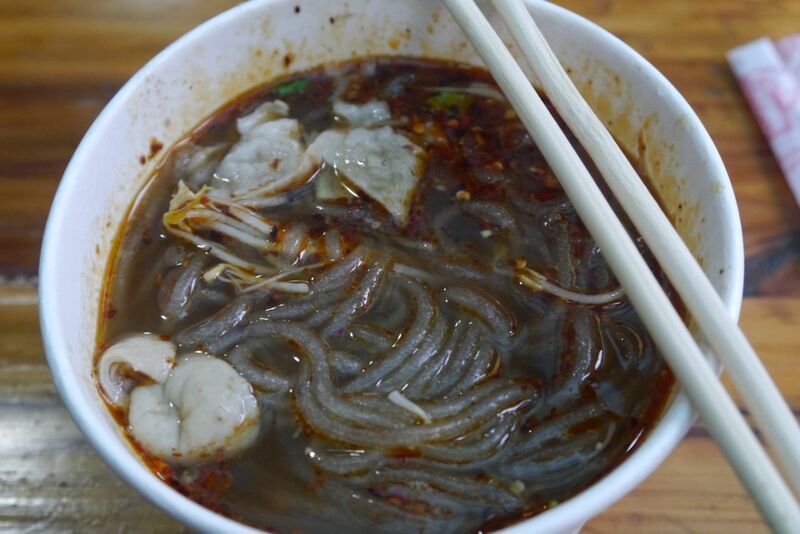 Simply, it is the combination of “ma”, the numbing sensation, and “la”, the spicy one. 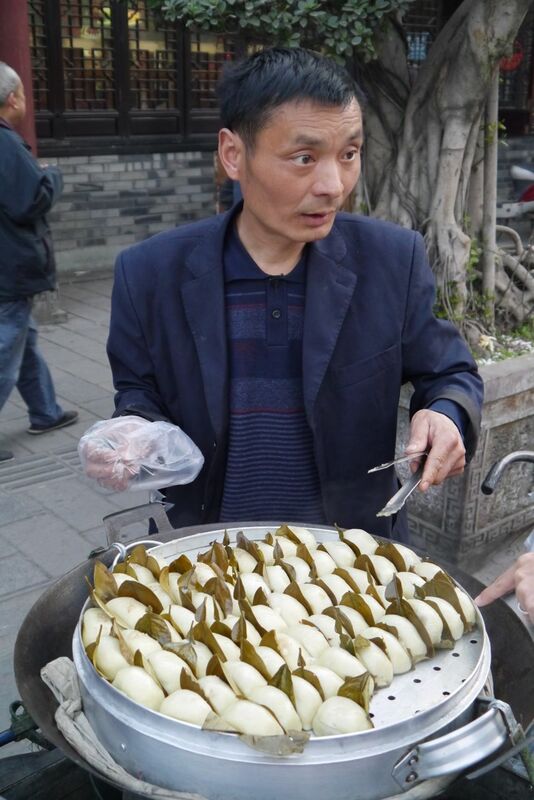 The “ma” is usually the result of huājiāo (花椒; literally “flower pepper”, pictured first), a pepper not widely used outside of China. 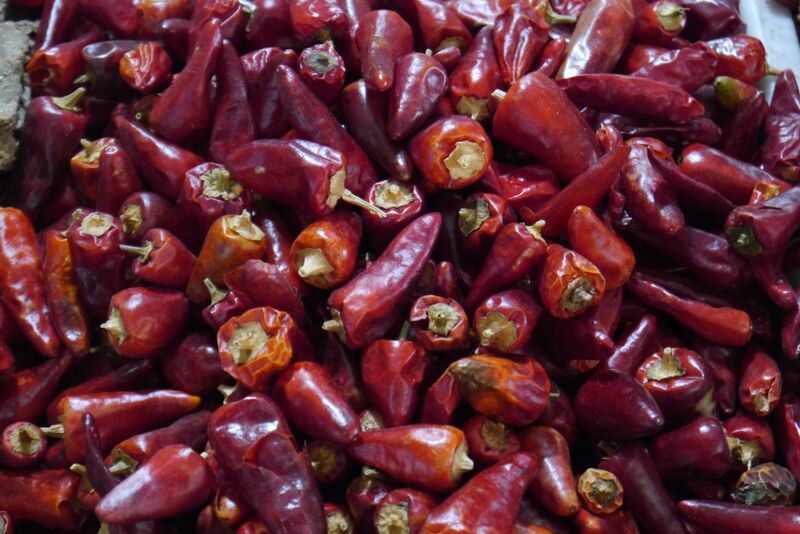 The “la” is often caused by some sort of dried red chilli (pictured second), variants of which are used in many cuisines around the world, from Italian to Indonesian. 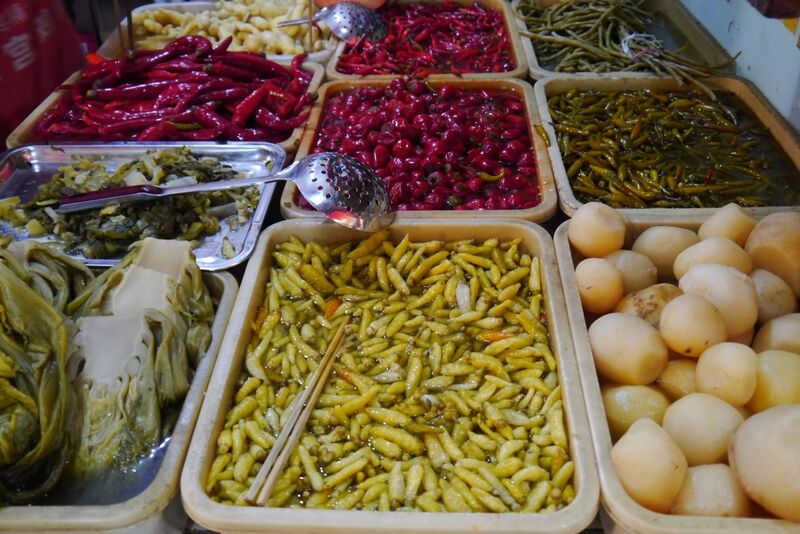 After we had returned to Singapore from Chengdu, some fresh huājiāo in tow, a Malaysian cousin and I decided, in a moment of silliness, to pop a whole raw pepper each. A full twenty minutes of stunned silence followed. 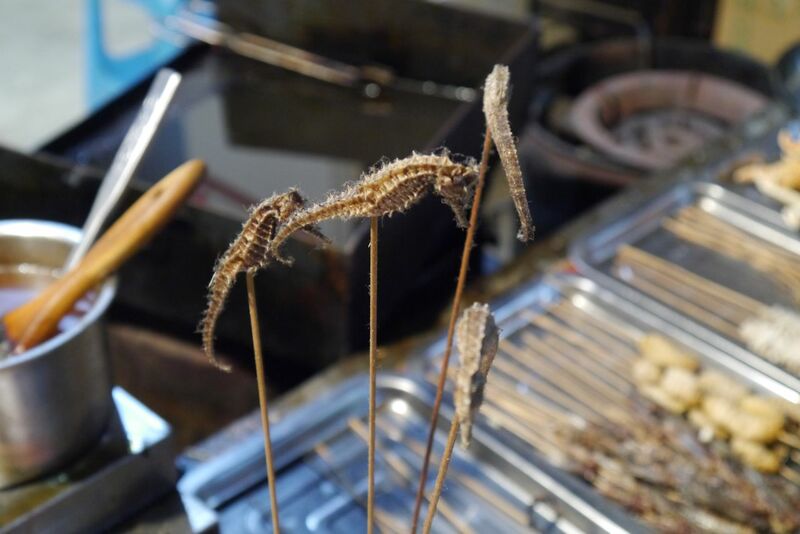 I felt like we had just performed the Sichuanese equivalent of snorting wasabi. 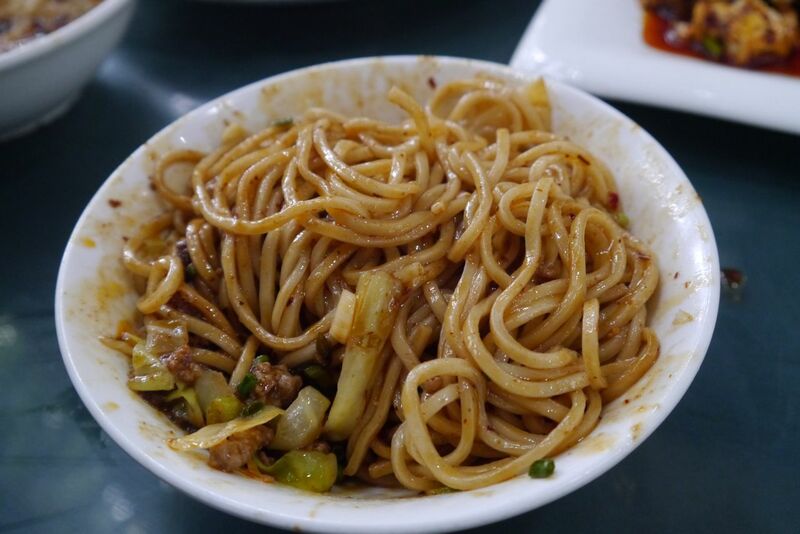 Unfortunately, in almost every Sichuan restaurant I have been to outside of China, the approach to mala is coarse and unrefined. Chefs seem to treat it like a niche drug—not for everybody, but addicts will want it in ever greater quantities. 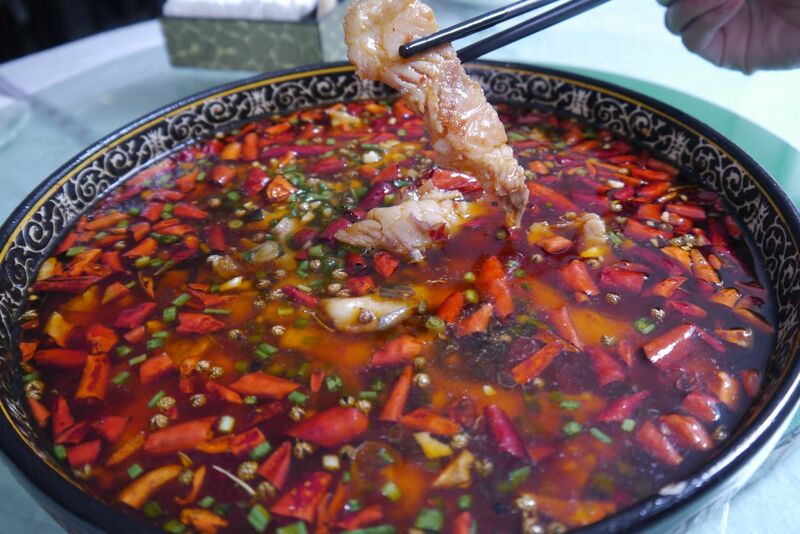 Many Sichuan restaurants will offer you the option of mild, regular and spicy for certain dishes. Mild usually means they stay away from a genuine mala effort. Regular is too spicy. And “spicy” is just insane. 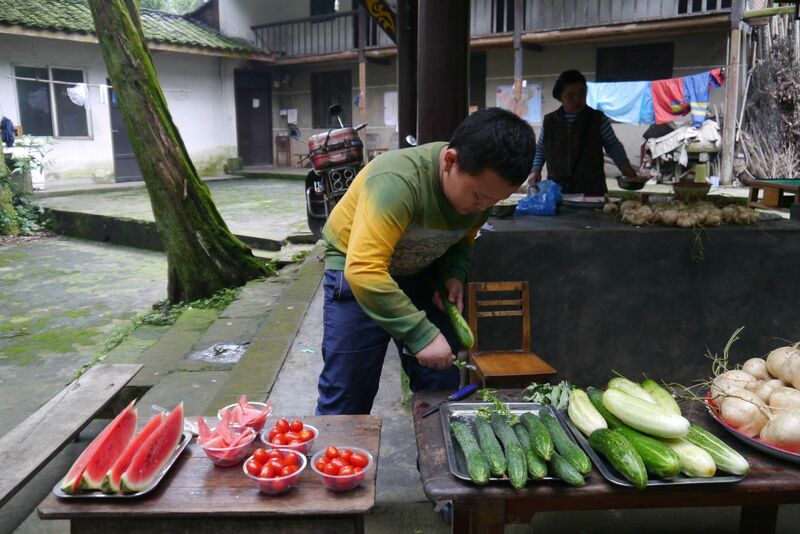 As a result, in many parts of the world, Sichuan becomes a byword for blow your brains out. The mala flavour from one dish to the next is barely discernible. 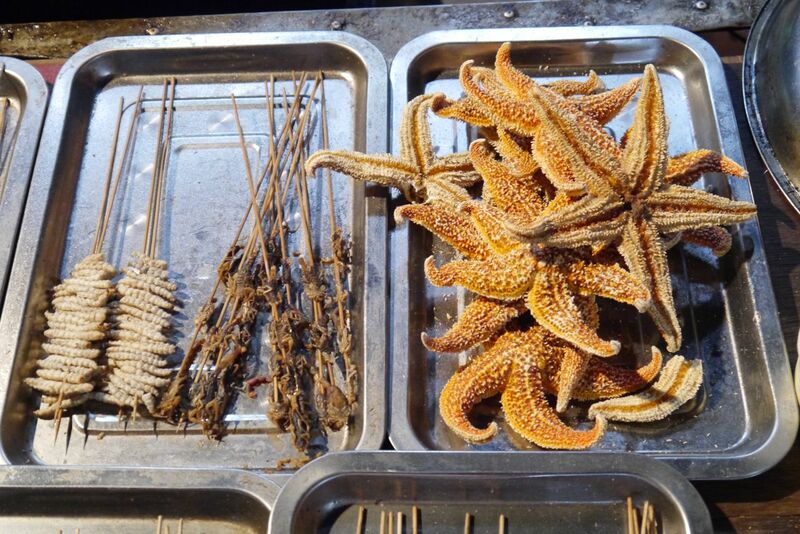 In Chengdu, by contrast, each dish—be it mapo doufu or xiang la er si—is given a unique mala treatment. 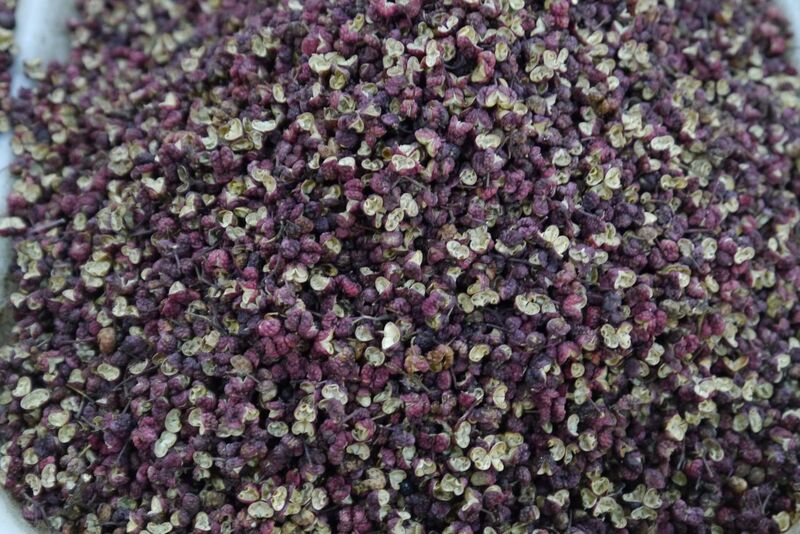 The spices are applied judiciously in different ratios, and in combination with many other flavours. 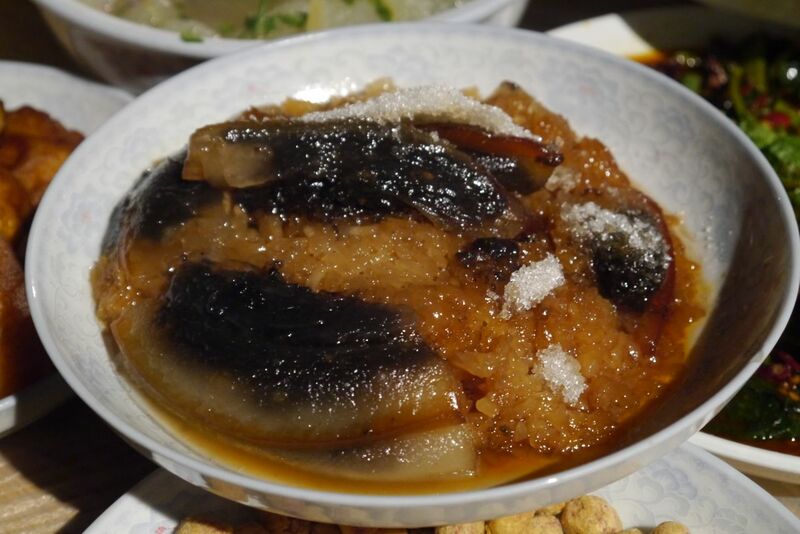 For instance, mapo doufu’s “ma” and “la” flavours are strong, to stand up to the saltiness of the fermented black beans. 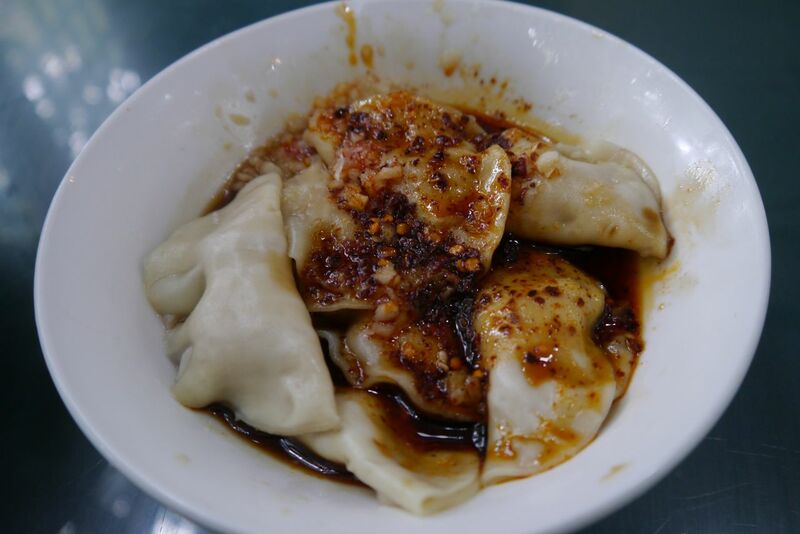 In xiang la er si, the “ma” flavour is mellower, as the huājiāo pepper is mixed with green scallions, salt, sesame oil and sometimes even a bit of sugar; the “la” is almost non-existent. 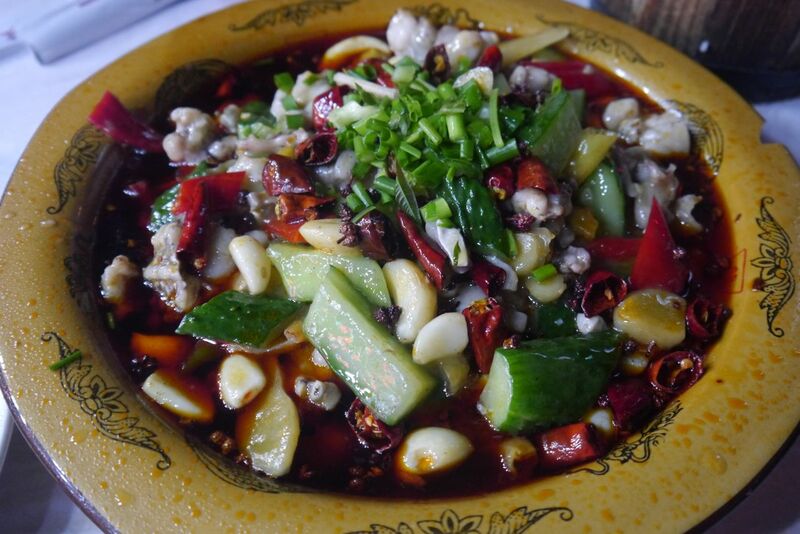 Though some might try, Sichuan restaurants abroad rarely manage to assemble the multiple flavour profiles that real Sichuanese cuisine demands. 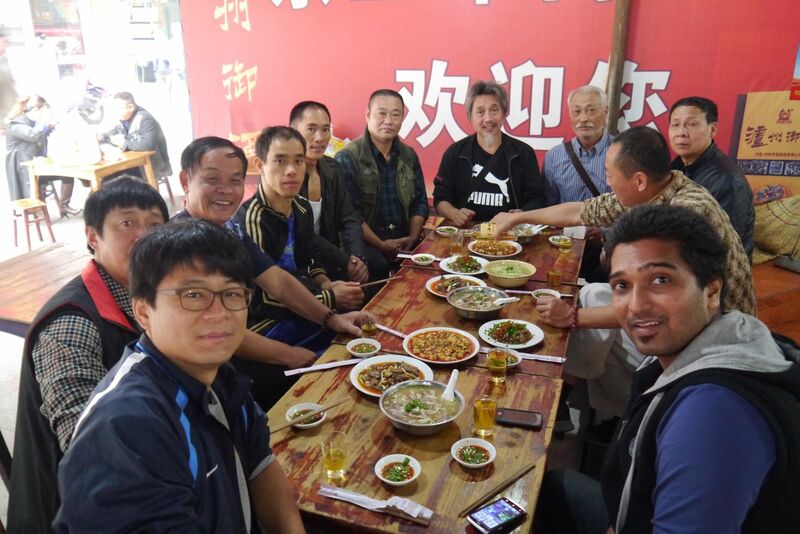 Ling, who generally dislikes mala flavours, started to appreciate them in Chengdu. 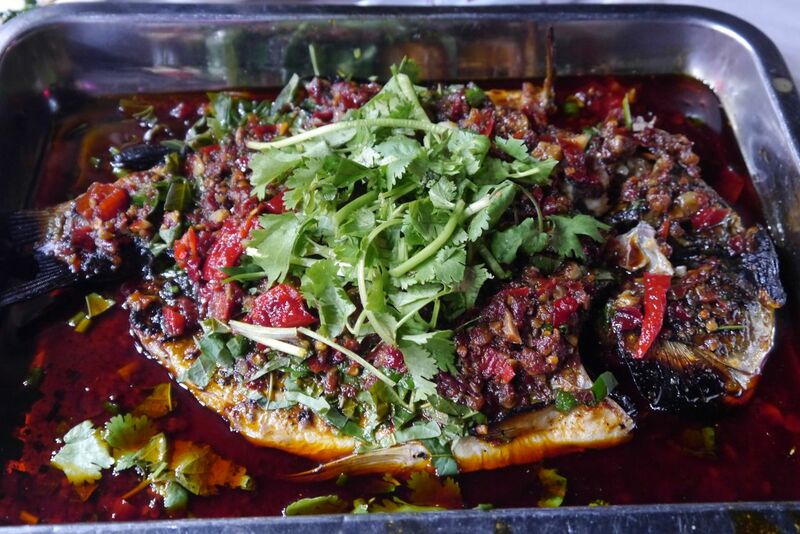 2 My favourite Sichuanese restaurant in Singapore–as of March 2013–is Lao Si Chuan, on 249 Outram Road, on the border of the Tiong Bahru estate. I relish every meal there. 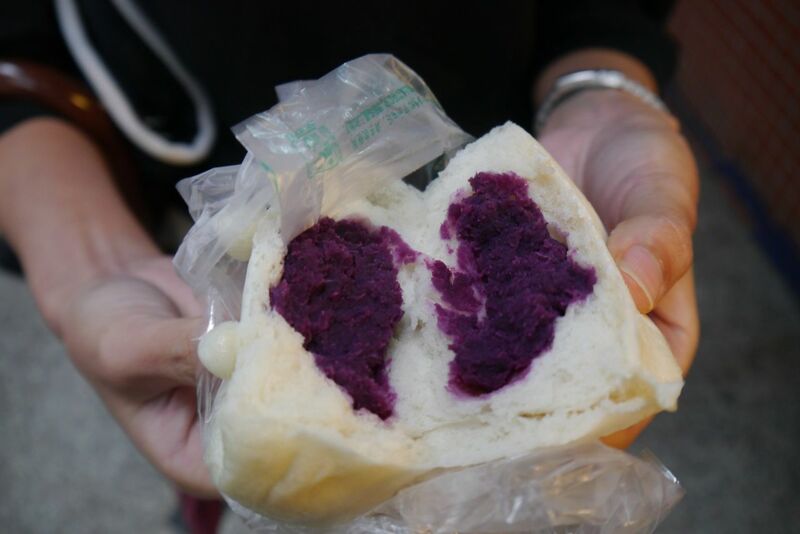 But it’s still some way short of Chengdu quality. 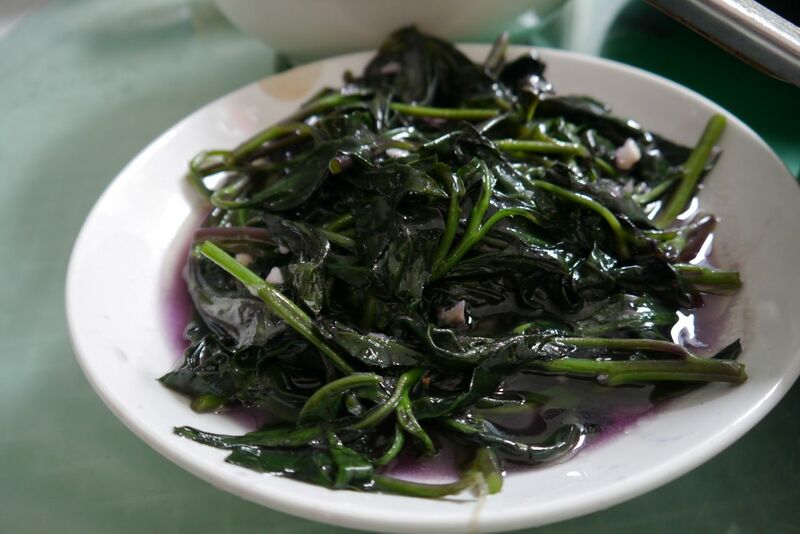 Not sure what these green leafy, purple-hued vegetables are called. But they’re tasty. 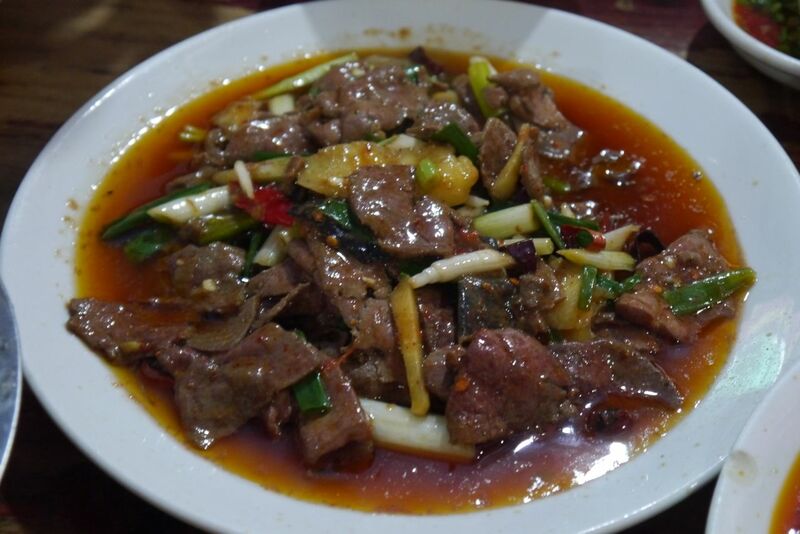 What’s your recommendation for a Sichuan restaurant in Singapore now? 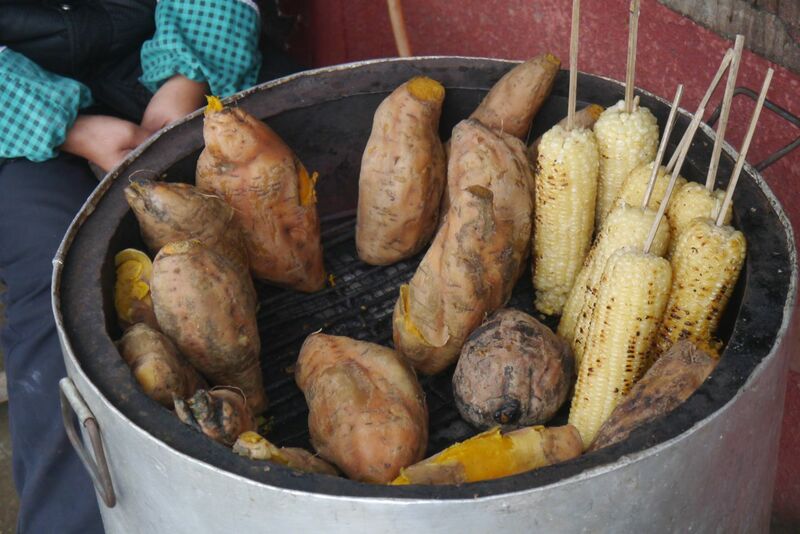 Hi May, I visited Lao Si Chuan about two months ago and thoroughly enjoyed it. Unfortunately, I have not been eating out much over the past two years, so I am sure there are other places that might be better. Just don’t know about them. 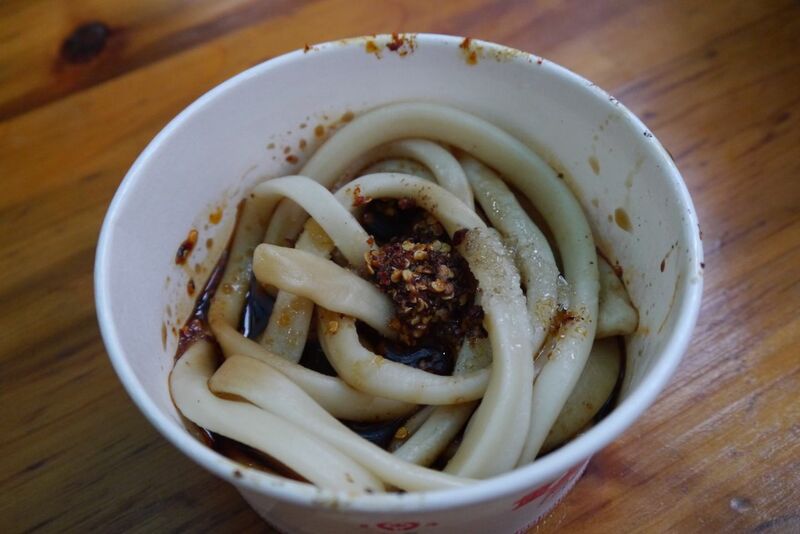 There are lots of Sichuanese joints around the People’s Park area, for instance.